Romanian Deadlift is one of the most under-rated Deadlift forms and most of the people never included in their gym routine. 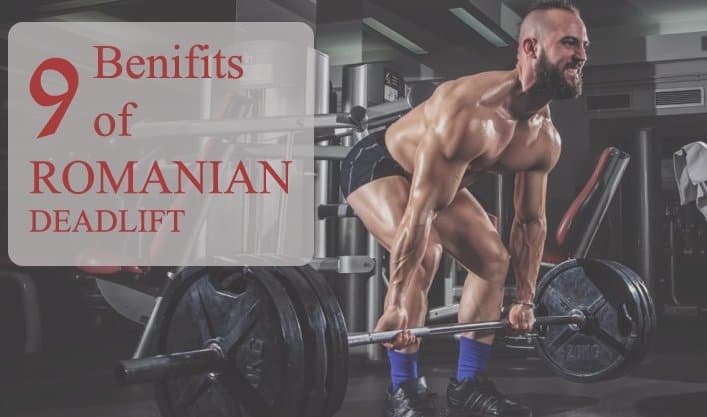 Romanian Deadlift has many advantages over conventional Deadlift and through this article, we are going to discuss every aspect of Romanian Deadlift and their effects on different muscle groups. Romanian Deadlift has many surprising advantages over conventional deadlifting technique, which we will be discussing later in this article. Many people with poor him mobility use Romanian Deadlift as a great alternative to conventional Deadlift. Think about your training session, are you aware how many hip extensor dominant exercises you performed and how many quad dominant exercises you performed. More than 80% of people are unaware of the muscle group they worked on while training their legs. Most of the exercises we perform on our leg day concentrate on your quadriceps, and we hip extensor muscle group are largely neglected. Romanian Deadlift is an exercise which put full emphasis on the hip exterior muscle group and stabilizes your back too. One of the most interesting stories about Romanian Deadlift is, it is neither a Deadlift nor it is originated from Romania. Instead, weightlifters in US saw a Nicu Vlad (who was from Romania) doing this form of Deadlift and since then they named this exercise as a “Romanian Deadlift”. The problem is most of the leg exercises concentrate on quadriceps. Like squats, Deadlift, leg press, etc. all these heavy lifting exercises concentrates majorly on the quad group of muscle. Most of the guys perform only one exercise to train their hamstring muscle, that is ‘lying leg curl’. But lying leg curls isn’t enough to built stronger and bigger hamstring. Most of us are unaware that most leg training is quad dominant training where we put more emphasis on developing stronger quad but what about hamstring and glutes? Romanian Deadlift is a perfect solution to train your hamstring and glutes and sculpt proportionate legs. Although Romanian Deadlift is known for its benefits on hamstring and gluts, it’s also highly recommended to those with lower back problems or weak lower back. Romanian Deadlift is an option which can give you benefits of conventional Deadlift but still protecting you from lower back pain. Romanian Deadlift has a shorter range of motion in comparison to conventional Deadlift, this shorter range of motion acts as a great aid to your weak back. Additionally, due to the shorter range of motion, you will also be able to avoid wrong back posture. Deadlift is an ultimate solution for those who aspire to have stronger and bigger back, but if you are unable to perform conventional Deadlift then Romanian Deadlift could be an ultimate substitute to get stronger back. It will improve your hip mobility, poor hip mobility could be your reason for not being able to Deadlift. So if you are unable to perform Deadlift with correct posture then poor hip mobility could be the reason. Start practicing Romanian Deadlift instead of conventional Deadlift. Your whole legs workout session include quadriceps dominating exercises like- squat, leg press, conventional Deadlift, etc. all these exercises concentrates heavily on quadriceps muscle group but what about back side of your leg i.e. hamstring and gluts? This Romanian Deadlift will help you developing bigger and stronger hamstring and gluts. Quadriceps play major role in your daily activities like walking, running, jumping, squatting etc and its good that you have always proffered quadriceps dominant exercises like conventional Deadlift, squats, legs press. But your hamstring plays major role in other activities like hill climbing, knee stabilization, sprinting. Week hamstring could lead to lead to low performance or hamstring injuries. So it’s time to include this Romanian Deadlift within your leg training schedule. If you are comfortable with conventional deadlifting then a better solution would be to perform conventional deadlifting while training back and include Romanian Deadlift in your leg training day. This will help you develop balanced leg muscles. 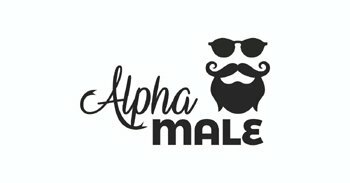 If you are a regular reader of this blog, you may predict that I am a big fan of compound exercises. I love compound exercises because they let you gain more with fewer moves. Romanian Deadlift might be slightly different from conventional Deadlift but it is still a great high-intensity compound exercise with fewer injury risks. Romanian Deadlift primarily works on your hamstring, gluts, whole back, arms, and grip. Although it has a great effect on your shoulders, traps, neck etc. as you are aware of the fact that performing compound exercises would have a positive impact on whole body development and boost in metabolism. For those whose intention is to lose weight should concentrate more on compound movements. Biggest blunder all of us did from the beginning of joining gym is unknowingly concentrating on quadriceps and ignoring hamstrings. Most of the exercises what we did during our legs sessions are quadriceps muscle group dominant, and all we did to train our hamstring is ‘lying leg curl’. This ultimately leads to underdeveloped hamstring and gluts. Romanian Deadlift acts as a reinforcement to balance the ratio between quadriceps and hip extractor muscle group. Also, it helps rebuild your tight or weak hamstring. A tight hamstring is definitely a disaster for those who are into fitness or sports. Someone with tight hamstring is always prone to injuries whether you are at the gym or at the playground. Through performing Romanian Deadlift you are not just improving your lifting capability but you are also helping your hip mobility and hamstring flexibility. At the younger age most of the people tend to have flexible hamstring muscle, that flexibility allowed us to perform a different task with ease. As we grow older our hamstrings start getting tighten, which makes us more vulnerable to injuries. You can’t just train the front of your body, it’s essential to train Posterior chain. Posterior chain includes hamstring, gluts and back. And the only movement eligible in engaging your whole posterior chain is Romanian Deadlift. Romanian Deadlift has proven to have great benefits on the posterior chain. Posterior chain includes all muscle responsible for greater hip mobility. Romanian Deadlift helps in declining the amount of pressure on your knees. In comparison to conventional Deadlift, Romanian Deadlift prevents knee to bend after a certain degree. This minimization of knee bending helps to reduce the significant about of pressure from knees. If you are too lazy to read the whole article, refer to the attached video below. Everything About Trap Bar Deadlift & Its 7 Benefits.